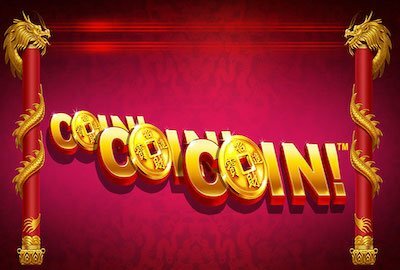 Playtech are hoping to capitalise on the forthcoming Chinese New Year with the release of Coin Coin Coin. In an age when slots have increasing numbers of reels, bonus features and multiple paylines, Coin is a step back to basics. In fact it doesn’t feel like a 2019 slot at all. Developed in-house by Origins and distributed by Playtech, Coin Coin Coin is a 5 reel 10 line slot with minimal features. Coin Coin Coin has a Chinese theme that’s predominantly red and gold. Dragons are entwined around the left and right of the slot. On the reels are a variety of traditional symbols. These include a lucky cat, tortoise, fortune cookies and landterns. The top paying symbol is a pink jeweled golden bowl that pays x800 for five of a kind. There are no scatter symbols as the slot boasts no features. However, there are wild coins which expand when appearing on the reels. 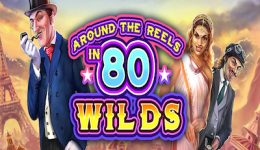 Get 5 of a kind of the wild coins and this triggers expansion on all reels. This results in a payout of a progressive jackpot. 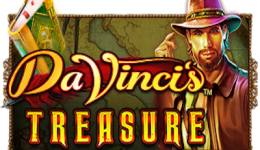 Unfortunately there’s no indication within the game regarding how big the current jackpot is. Beyond this point then there’s nothing else on offer within Coin Coin Coin. One thing that makes Coin Coin Coin stand out from the crowd is it’s wagering structure. The minimum wager is 80p which seems exceptionally high for a 10 line slot. Furthermore the wagering steps sees the bet increase to £8, £80, £180, £380 and £880. The number 8 is lucky in Chinese circles but even so these wagers and steps do raise an eyebrow. Back to the game and the slot does boast an auto-play and turbo mode. The latter seems a little bit of overkill as the slot is smooth with fast gameplay. This is a strange game! When we first spotted Coin Coin Coin we expected to see a high tech slot game. As is it’s quite basic in design and play. The lack of features are actually a refreshing change, but the wagering costs and limited paylines may detract some players.